Blog Letting the Cat out of the Bag! 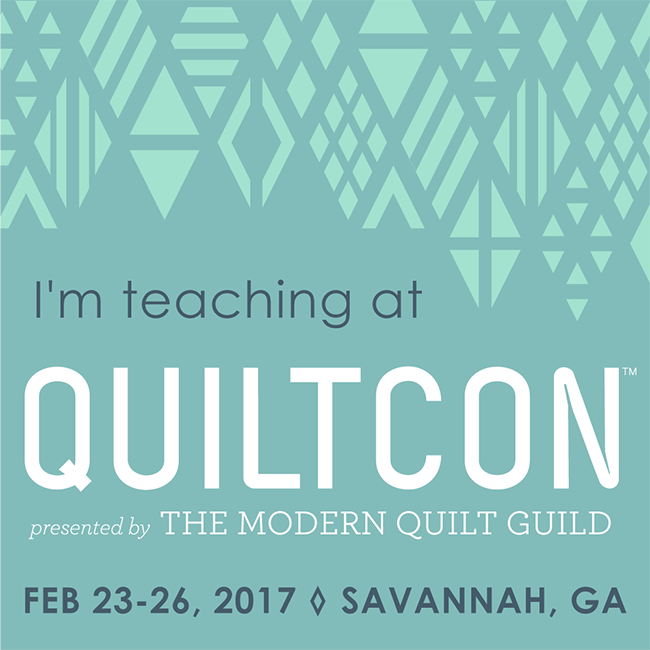 Yesterday, the QuiltCon 2017 course catalog was released! I already told you that I was going to be teaching there…so that isn’t the secret. But because the catalog is out, I get to spill the beans on some top secret sewing a little earlier than normal! I am working on a second book with Lucky Spool and will have the opportunity to teach from it for the first time at QuiltCon! We are working hard to get the book ready for Feb. 2017 because I wanted to teach this class at QuiltCon so desperately. It’s going to be so much fun! 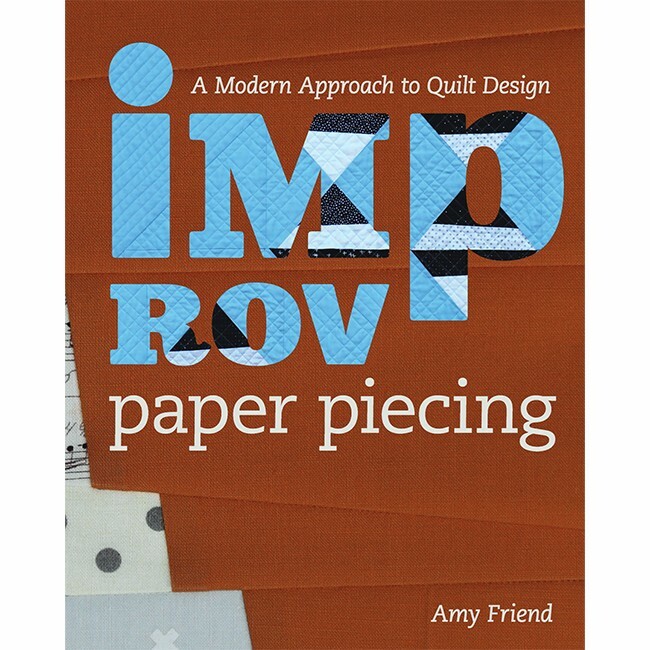 The book is called Improv Paper Piecing: A Modern Approach to Quilt Design. I can’t fill you in on all the details right now but I can tell you that it is all about approaching your paper pieced block designs improvisationally. You will design and sew your own block and work on a quilt layout based on one of the three approaches shared in my book. I have used this design method for some of my favorite quilts in recent years and have refined it in this book and can’t wait to share. You should have a basic knowledge of paper piecing when you sign up for the class, an open mind, and it will be great! It’s course 621 on Saturday from 9-5. I am also teaching two other classes, that I am equally excited about. One is course 620 Paper Pieced Block Design with EQ7. 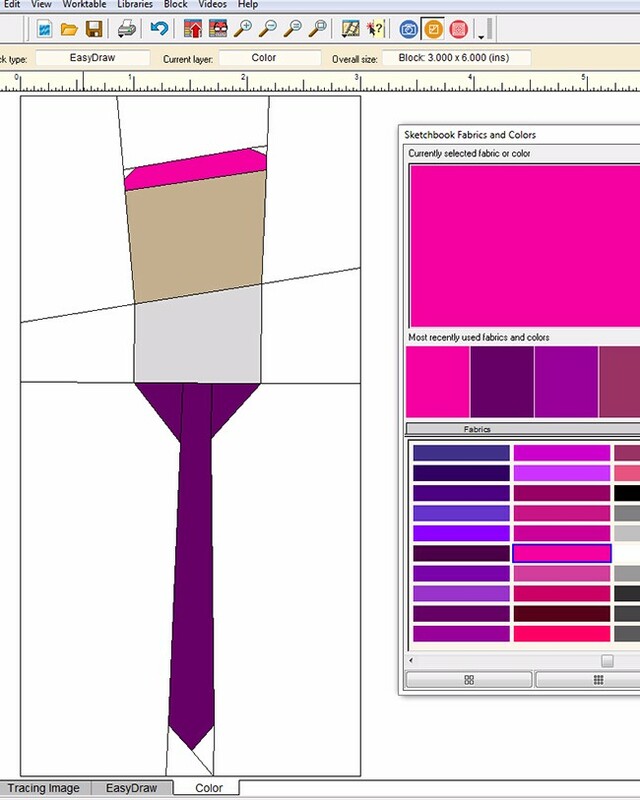 I will guide you through the steps involved in drawing up this fun paintbrush block, exporting the image, coloring it, grouping the pattern pieces and printing them as a PDF. You can use these skills when you get home to make your own designs. For this course, you need to come with EQ7 installed on your laptop. And finally, I’ll be teaching from my first book, Intentional Piecing, on Thursday. 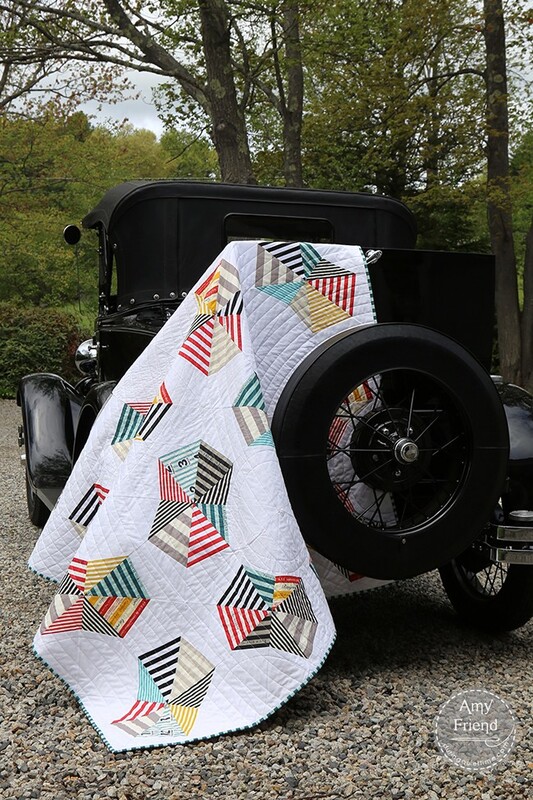 It’s course 733 titled Fussy Cut Foundation Pieced Stripes with the Crazy Eights Quilt. I think of this type of paper piecing as large scale paper piecing–piecing big sections with big pieces of fabric. It’s often trickier than paper piecing with small pieces and I am going to share my tips and tricks and hopefully get you to fall in love with stripes, fussy cutting, and foundation piecing all at once. The course catalog is available right here. MQG membership can register beginning June 25th and open membership opens July 1st. I hope I will see you there! Feel free to contact me with questions. Can’t wait to meet you!